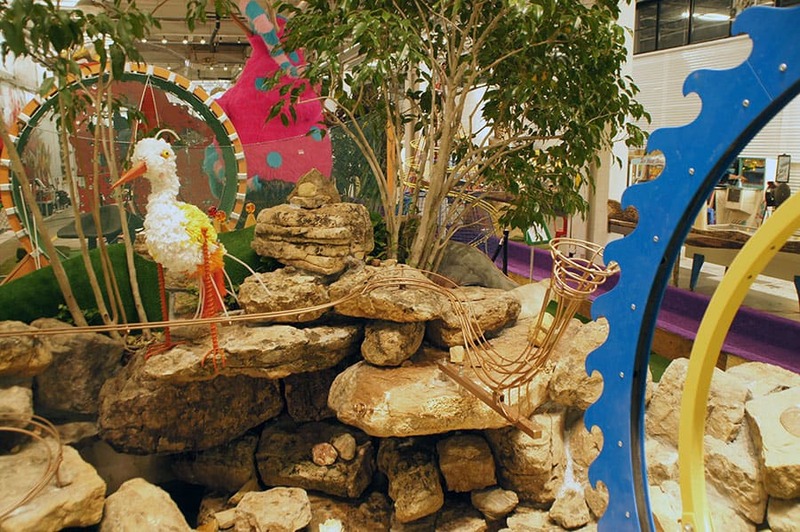 Located in St. Paul’s Hamline Midway neighborhood and the Creative Enterprise Zone, Can Can Wonderland combines art and play to create a one-of-a-kind arts immersive environment for people of all ages to enjoy. 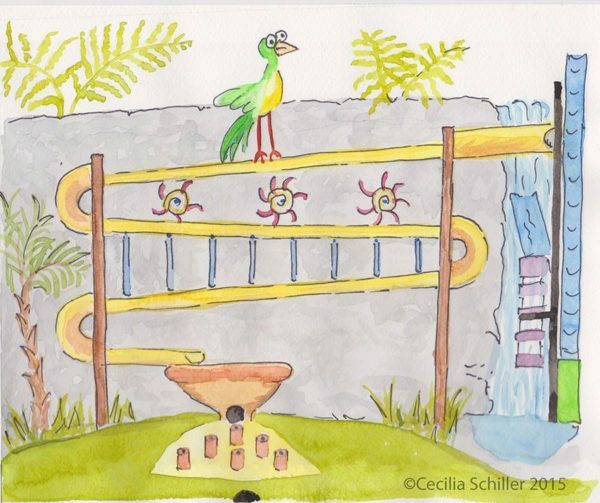 Cecilia Schiller was selected from over 180 proposals to create one of the 18 holes for Can-Can Wonderland’s artist designed mini-golf course. 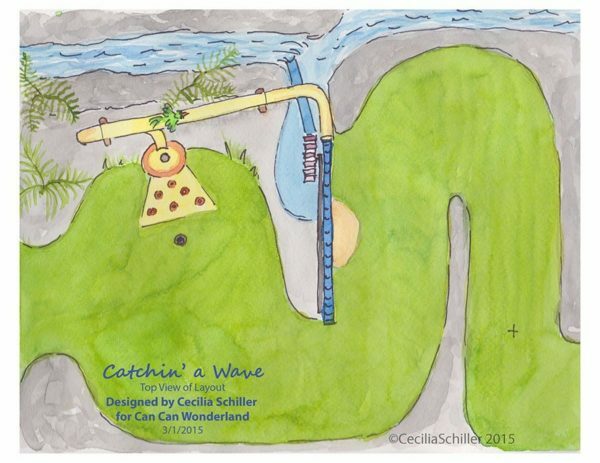 Catchin' a Wave at the side of a luscious waterfall. Goofy Bird keeps watch over the balls on the ball ramp. 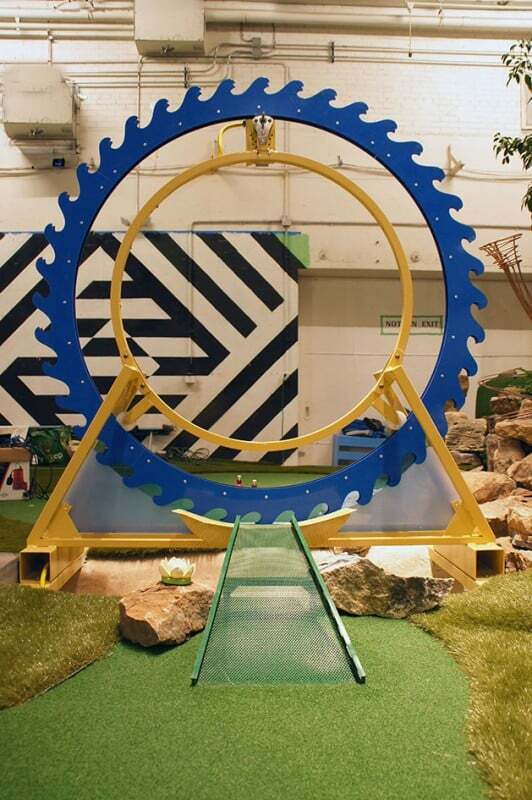 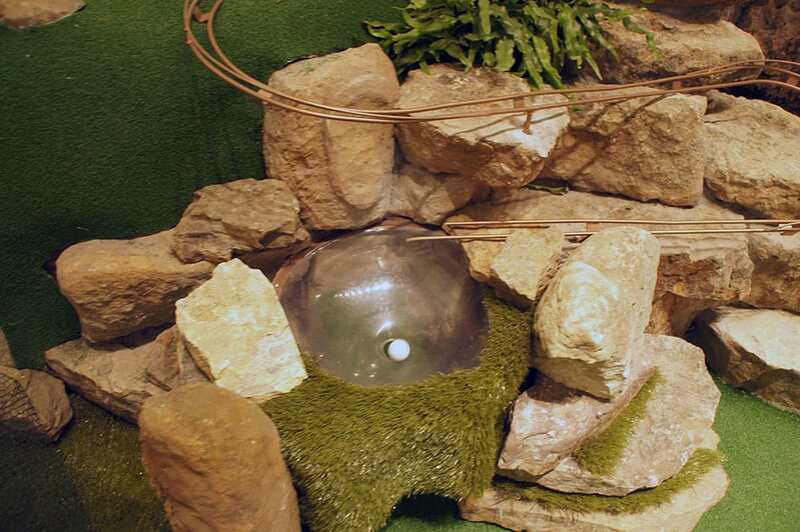 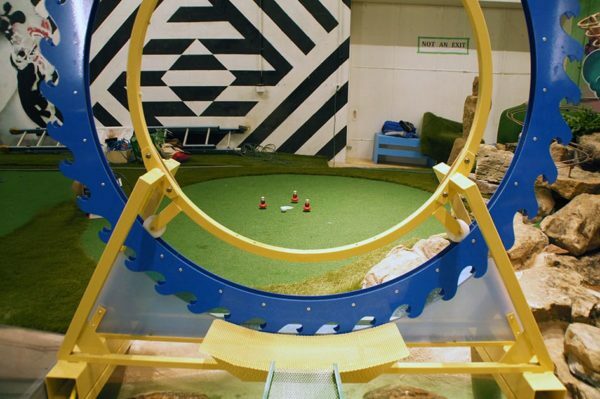 Balls fall into a Whirlpool and rotate around before falling out onto the Green. 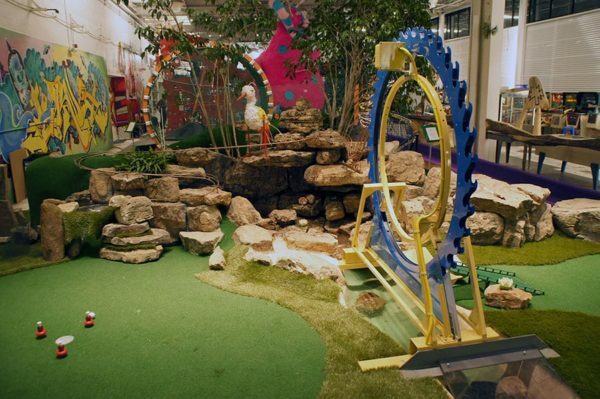 Original floor plan went through some changes. In the final design the ramp is worked into the rock landscaping. It was something I was hoping for and I think the effect is wonderful. 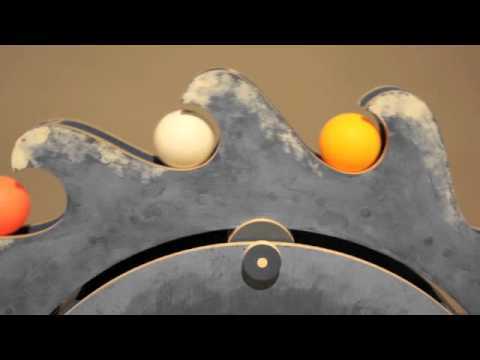 I also made a tabletop version with ping pong balls. 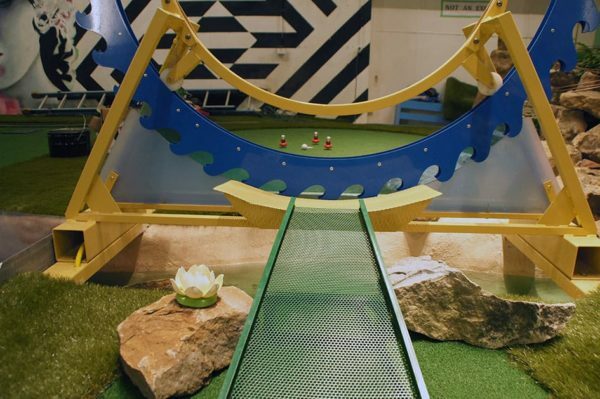 Catch A Wave is a table top version of the mini-golf course hole. 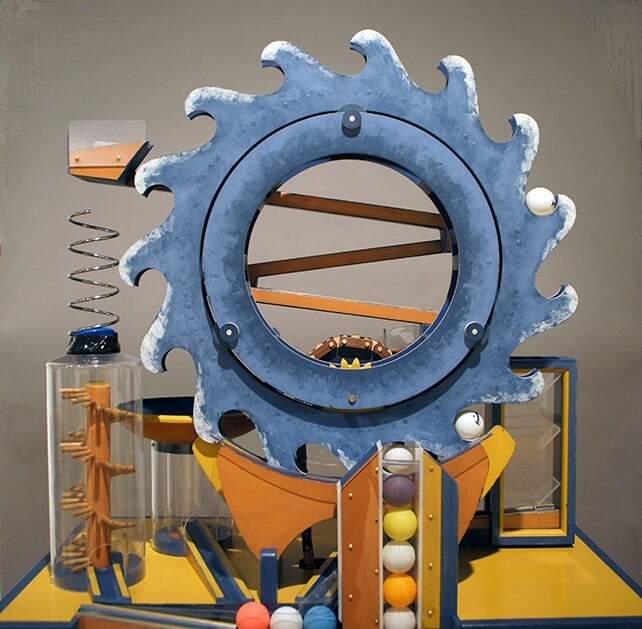 Turning a crank lifts the ping pong balls and turns the wave wheel sending balls on an endless circular journey. 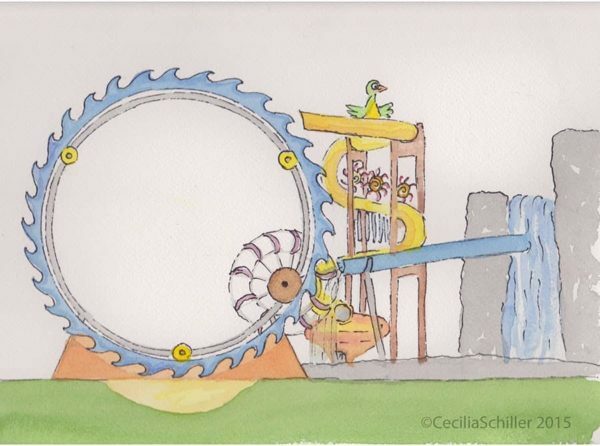 Kinda like life!